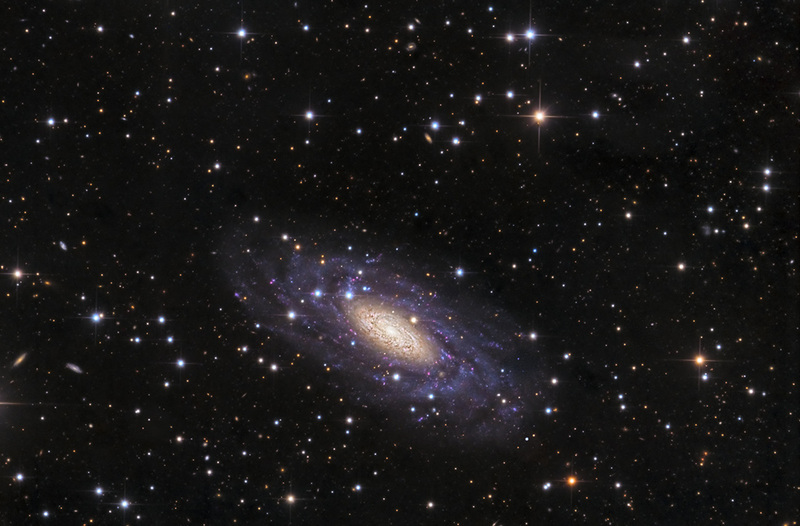 was discovered in 1826 by Scottish astronomer James Dunlop and is a seldom imaged Sc-type spiral galaxy. NGC 2090 was chosen as part of the 'Hubble Space Telescope Extragalactic Distance Scale Key Project' to better define the 'Hubble Constant' (the rate at which the universe is expanding), not named for the telescope, but for its namesake Dr. Edwin Hubble. The data was acquired in 2015 by SSRO.